Currently Hiring | In home service opportunity available. Words 2-year-old be able to say? How many words should my 2-year-old be able to say? Around their second birthday, many children begin to acquire words at breakneck speed, a phenomenon experts call the naming explosion. Most 2-year-olds can say about 100 words. By the time your toddler is 2 1/2, she’ll probably know close to 300. But not all children follow this pattern, so don’t panic if your child isn’t talking nonstop by 2 1/2. However, if by the time your toddler is almost 3, she says fewer than 25 words and can’t combine them in a simple 2-word sentence, consult your speech theraist. There are separate standardized assessment tools administered for infants, school-aged children, adolescents and adults. Assessments primarily examine the form, content, understanding and use of language, as well as articulation, and phonology. Oral motor and swallowing assessments often require specialized training. These include the use of bedside examination tools and endoscopic/modified barium radiology procedures. Individuals may be referred to an SLP for the following: Traumatic brain injury; Stroke; Alzheimer’s disease and dementia; Cranial nerve damage; Progressive neurological conditions (Parkinson, ALS, etc); Developmental delay; Learning disability (speaking and listening); Autism Spectrum Disorders (including Asperger Syndrome); Genetic disorders that adversely affect speech, language and/or cognitive development; Injuries due to complications at birth; Feeding and swallowing concerns; Craniofacial anamolies that adversely affect speech, language and/or cognitive development; Cerebral Palsy; and Augmentative Alternative Communication needs. There are myriad Speech-Language Assessment tools used for chidren and adults, depending on the area of need. Identify, define, and diagnose disorders of human communication and swallowing and assist in localization and diagnosis of diseases and conditions. Provide direct services using a variety of service delivery models to treat and/or address communication, swallowing, or other upper aerodigestive concerns. Conduct research related to communication sciences and disorders, swallowing, or other upper aerodigestive functions. Educate, supervise, and mentor future speech-language pathologists. Serve as case managers and service delivery coordinators. Administer and manage clinical and academic programs. Educate and provide in-service training to families, caregivers, and other professionals. Participate in outcome measurement activities and use data to guide clinical decision making and determine the effectiveness of services provided in accordance with the principles of evidence-based practice. Train, supervise, and manage speech-language pathology assistants and other support personnel. Promote healthy lifestyle practices for the prevention of communication, hearing, swallowing, or other upper aerodigestive disorders. cognitive aspects of communication (e.g., attention, memory, problem solving, executive functions). sensory awareness related to communication, swallowing, or other upper aerodigestive functions. Providing services to individuals with hearing loss and their families/caregivers (e.g.,auditory training; speechreading; speech and language intervention secondary to hearing loss; visual inspection and listening checks of amplification devices for the purpose of troubleshooting, including verification of appropriate battery voltage). Screening hearing of individuals who can participate in conventional pure-tone air conduction methods, as well as screening for middle ear pathology through screening tympanometry for the purpose of referral of individuals for further evaluation and management. Using instrumentation (e.g., videofluoroscopy, EMG, nasendoscopy, stroboscopy, computer technology) to observe, collect data, and measure parameters of communication and swallowing, or other upper aerodigestive functions in accordance with the principles of evidence-based practice. Selecting, fitting, and establishing effective use of prosthetic/adaptive devices for communication, swallowing, or other upper aerodynamics functions (e.g., tracheoesophageal prostheses, speaking valves, electrolarynges). This does not include sensory devices used by individuals with hearing loss or other auditory perceptual deficits. Collaborating in the assessment of central auditory processing disorders and providing intervention where there is evidence of speech, language, and/or other cognitive-communication disorders. Educating and counseling individuals, families, co-workers, educators, and other persons in the community regarding acceptance, adaptation, and decisions about communication and swallowing. Advocating for individuals through community awareness, education, and training programs to promote and facilitate access to full participation in communication, including the elimination of societal barriers. Collaborating with and providing referrals and information to audiologists, educators and health professionals as individual needs dictate. Addressing behaviors (e.g. perseverative or disruptive actions) and environments (e.g. seating, positioning for swallowing safety or attention, communication opportunities) that affect communication, swallowing, or other upper aerodigestive functions. Providing services to modify or enhance communication performance (e.g. transgendered voice, care and improvement of the professional voice, personal/ professional communication effectiveness). Recognizing the need to provide and appropriately accommodate diagnostic and treatment services to individuals from diverse cultural backgrounds and adjust treatment and assessment services accordingly. Speech-language pathologists work with people who cannot produce speech sounds or cannot produce them clearly; those with speech rhythm and fluency problems, such as stuttering; people with voice disorders, such as inappropriate pitch or harsh voice; those with problems understanding and producing language; those who wish to improve their communication skills by modifying an accent; and those with cognitive communication impairments, such as attention, memory, and problem-solving disorders. They also work with people who have swallowing difficulties. Speech-language pathologists develop an individualized plan of care, tailored to each patient’s needs. For individuals with little or no speech capability, speech-language pathologists ma select augmentative or alternative communication methods, including automated devices and sign language, and teach their use. They teach patients how to make sounds, improve their voices, or increase their oral or written language skills to communicate more effectively. They also teach individuals how to strengthen muscles or use compensatory strategies to swallow without chokingor inhaling food or liquid. Speech-language pathologists help patients develop, or recover, reliable communication and swallowing skills so patients can fulfill their educational, vocational, and social roles. Speech-language pathologists keep records on the initial evaluation, progress, and discharge of clients. This helps pinpoint problems, tracks client progress, and justifies the cost of treatment when applying for reimbursement. They counsel individuals and their families concerning communication disorders and how to cope with the stress and misunderstanding that often accompany them. They also work with family members to recognize and change behavior patterns that impede communication and treatment and show them communication-enhancing techniques to use athome. Communication includes speech (articulation, intonation, rate, intensity, voice, resonance, fluency), language (phonology, morphology, syntax, semantics, pragmatics), both receptive and expressive language (including reading and writing), and non-verbal communication such as facial expression and gesture. Swallowing problems managed under speech therapy are problems in the oral and pharyngeal stages of swallowing (not oesophageal). There are four main types of lisps. The interdental lisp occurs when the tongue protrudes between the front teeth. However, a dentalized lisp happens when the tongue pushes against the front teeth. The lateral version is when the air flows around the tongue producing a wet sound. Finally, the palatal version is when the middle of the tongue touches the roof of the mouth. We encourage parents to seek speech disorder therapy for all types of lisps. By selecting appropriate speech treatment for lateral lisp, your child has a better chance of overcoming this disorder. It is important to note that lateral lisps are not found in typical speech development in children. The tongue position is very close to the normal position for “l.” The sound is made with the air-flow directed over the sides of the tongue. This is why it is known as a slushy lisp and has the wet sound. At Speech-Language Development, we provide thorough assessments to all our patients with any form of a disorder including a lisp speech impediment. We encourage parents to seek therapy for their children early on. The prognosis for children treated at an early age is much better than those who are not treated. To properly assess a child, we must screen all areas of communicative function. By thoroughly observing and examining these areas, we are able to diagnosis and treat our patients. Whether there is typical speech development in children or a traumatic injury, speech disorders and impediments may arise. At Speech-Language Development, we are proud to assist in the treatment of your child. To setup an appointment for speech treatment for lateral lisp, please contact us today. Stuttering or stammering is a common disorder in speech development in children that interferes with fluent speech. Someone who stutters may repeat the first sound of a word or hold a single sound for a long period of time. This speech disorder can also be disrupted by involuntary silent blocks in which the person is unable to produce sounds. There is no known exclusive cause of developmental stuttering. However, there is a variety of hypotheses and theories to the causes of stuttering. One of the strongest theories is the evidence that stuttering has a genetic basis. Although, it has also been proven that genetic factors interact with environmental factors. It is best to seek stuttering help for your child at an early age. Also, family dynamics including fast-paced lifestyles can also lead to the development of this disorder. Child development is another factor most likely to contribute to the development of stuttering. This means children with other speech and language problems or development delays are more likely to stutter. Additionally, recent research has shown that people who stutter process speech and language in different areas of the brain. This study is known as neurophysiology. Appropriate speech disorder therapy and help can promote growth and progress with speech and language disorders. It is important to seek stuttering help for your child while he or she is young. With treatment, the recovery of stuttering for preschoolers is good. However, there is no known cure for adult stutterers. To learn more about the causes of stuttering and treatment for this speech disorder, we invite you to please browse through our website and comprehensive collection of articles. Contact us to setup an appointment or with any questions. With numerous different speech and language disorders, it is best to seek professional help when diagnosing and treating these disorders. At Speech-Language Development, we specialize in the assessment and treatment of language and speech disorders including causes of stuttering, cluttering, articulation, and apraxia. 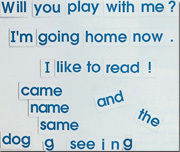 Cluttering of speech is one of the most common forms of language disorders. This disorder makes it difficult to understand a person’s speech. Cluttering affects the fluency of a person’s speech. As a language disorder, a person is able to say what they are thinking, but it becomes disorganized. The speech of a person with cluttering may sound jerky. Often unaware of the problem, a person with cluttering may speak in bursts. Cluttering is different than both stuttering and/or an articulation disorder. In addition to cluttering and stuttering, we specialize in numerous other phonological disorders, language learning disabilities, oral-motor disorders, and articulation problems. An articulation disorder contains a wide range of sound errors. These sound errors do not change in different word contexts and occur during the product of individual or isolated sounds. By contacting a speech-language pathologist, your child can be properly assessed and treated for his or her disorder. With a goal for each child to achieve superior communication, we work with each child to customize appropriate speech disorder therapy for his or her needs. Please remember, early help is important for more severe problems. To learn more about stuttering or cluttering of speech, please continue browsing through our collection of detailed articles. If you would like to setup an appointment or have any questions, please contact us today. Copyright © 2005 - 2018 Speech Language Development. All Rights Reserved.